Author David Bego was a family business owner when the powerful and politically connected Service Employees International Union and their boss Andy Stern declared war on his employees and their company. Read about how he faced up to the SEIU and "card check" here. Prosperity 101™ is an educational resource designed for use in small businesses and large corporations across the United States. The program is an effective, non-partisan resource to educate employees about basic American history, civic involvement, the political process, free market economics, and public policy. Prosperity 101™ provides a vehicle through which employers can educate their workforce about the aforementioned topics, without the entanglement of political partisanship. It is also created to help employees understand how public policy affects the stability of their own jobs. In "Why Government Is The Problem," legendary economist and thinker Milton Friedman explains why "Instead of Lincoln's government 'of the people, by the people, and for the people,' we now have a government 'of the people, by the bureaucrats, for the bureaucrats,' including the elected representatives who have become bureaucrats." In the classic bestseller, Capitalism and Freedom, Milton Friedman presents his view of the proper role of competitive capitalism--the organization of economic activity through private enterprise operating in a free market--as both a device for achieving economic freedom and a necessary condition for political freedom. Beginning with a discussion of principles of a liberal society, Friedman applies them to such constantly pressing problems as monetary policy, discrimination, education, income distribution, welfare, and poverty. 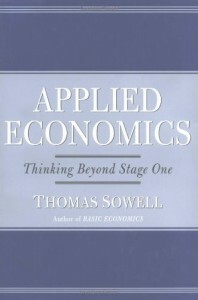 Reed Business Information says "As a basic primer for the economically perplexed, this volume serves very well." Indeed, Thomas Sowell's book has helped countless readers better understand the world around them. Be sure to get your copy of Applied Economics here. 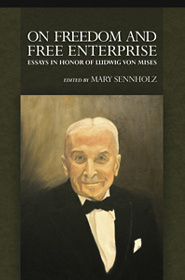 A collection of essays by great advocates of the free market, including F.A. Hayek, Murray Rothbard. A to-the-point primer on economics and some commonly held economic fallacies. Click here for more information. Brian Doherty offers an entertaining history of the 20th century's motley free-market prophets. If you want to know how money works, from the barter system to the gold standard, this book by Murray Rothbard is a great introduction. 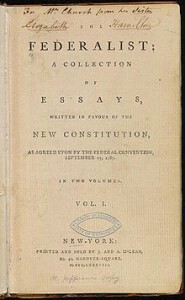 James Madison, Alexander Hamilton and John Jay wrote this series of influential essays arguing for the ratification of the Constitution. 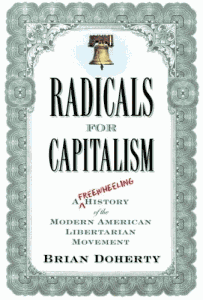 Click here to read one of the all-time classic collections for lovers of limited government.